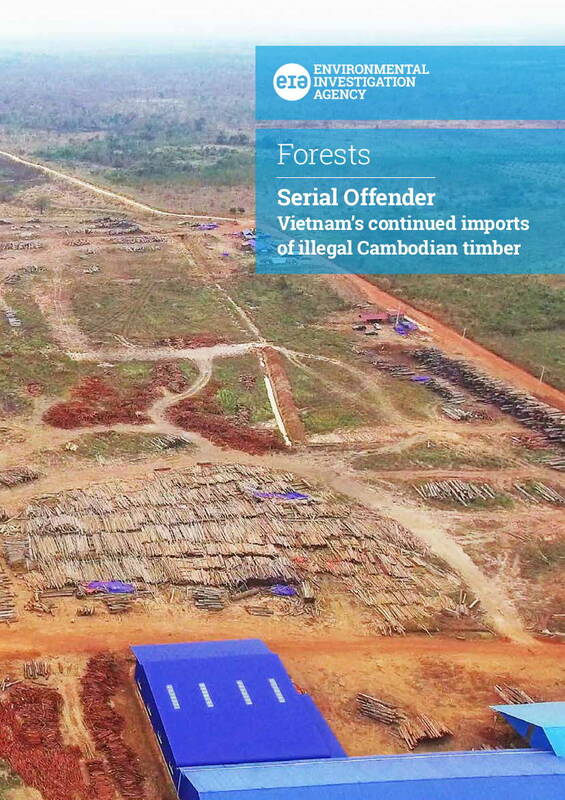 Today, we release the new report Serial Offender, exposing the direct involvement of corrupt Vietnamese officials and military personnel in stealing huge quantities of illegal timber from neighbouring Cambodia. The launch of the report comes almost exactly one year after our undercover investigators first exposed the industrial-scale forest theft in the report Repeat Offender. But even as Vietnam drafts legislation to tackle its imports of illegal timber, hundreds of thousands of cubic metres of illegal timber continues to flow unhindered across its borders from Cambodia. Illegal logging is occurring on a vast scale in three key areas in Cambodia, including in the supposedly protected Virachey National Park, and under the direct protection of corrupt Cambodian military and forest rangers. Cambodia has numerous timber export bans in place, including a specific ban on timber trade with Vietnam dating from 2016. Senior Forests Campaigner Jago Wadley said: “Vietnam has a long history of stealing timber from its neighbours. • Get the key facts from Serial Offender in our special summary.